Welcome to Baxla Tractor Sales Inc. Welcome to Baxla Tractor Sales Inc... with locations in Seaman, Washington Court House and Batavia to serve you. 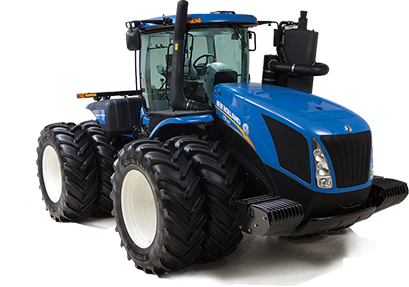 We are your local authorized dealer for New Equipment, Parts, Service/Repair and Accessories for New Holland Agriculture, New Holland Construction, Kubota, Exmark, Bush Hog, Husqvarna, Stihl,Land Pride, Woods, Kawasaki Engine, Briggs & Stratton and Billy Goat. Check out our Online Brochures to see what we have. If you need help in making your selection, call or stop in—we're always ready to help! Come to see our large inventory of Balers, Combines, Harvesting Equipment, Farm Equipment, Disc Mowers, Spreaders, Agricultural Tractors, Compact Tractors, Track Loaders, Wheel Loaders, Skid Steer Loaders, Commercial Lawn Mowers, Residential Lawn Mowers, UTV's, Zero Turn Mowers, Riding Mowers, Walk Behind Mowers, Stand On Mowers, Seeders, Scrapers, Tedders, Pressure Washers, Lawn Tractors, Implements, Chainsaw, Trimmers and much more. We also offer the best in Financing Promotions. Use our free Online Parts Finder and save on money on the parts you need for Kubota, New Holland, Briggs and Stratton, Exmark, Husqvarna, Kawasaki Engine, Kohler Engine, Land Pride and Woods. We know individuality is important, which is why we pay close attention to the interests of each customer. From the minute you walk through the door, meeting your needs is our top priority. Founded not only on excellent customer service, but also on the principles of hard work and a focused attitude, Baxla Tractor Sales Inc. has a long list of satisfied customers. Call or stop by; you’ll be glad you did.